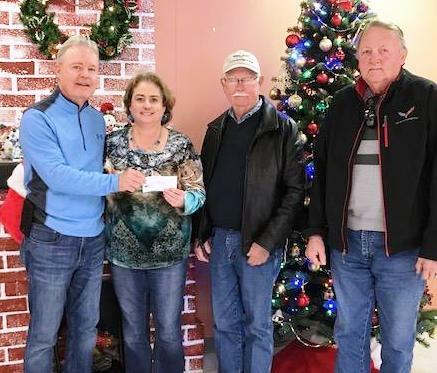 The Sulphur Springs Corvette Club made a very generous Donation of $1,000.00 to the Hopkins County Meal-a-Day Program on Tuesday, December 4. The Meal-a-Day is funded by Donations like this. Other than the yearly United Way Funds and the $2.00 that the Seniors pay for their lunches, Meal-a-Day is run on Donations from the Community. We have a very giving and loving Community that we should all be proud to be a part.